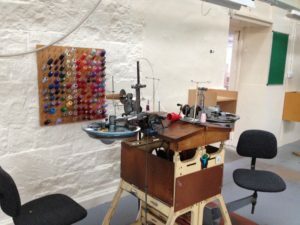 The Knitting-in-the-Round team have been a little subdued since the final project workshop in Shetland last March but a day out in Hawick in the Scottish Borders has revived our enthusiasm for all things knit and prompted some thoughts about the connections between hand knitting and factory knitwear production. We visited two very different companies. 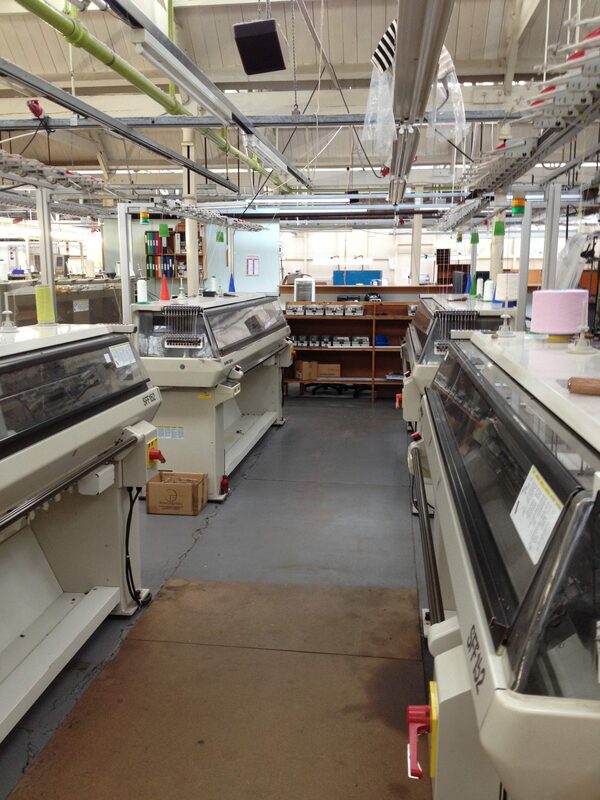 First was Johnstons of Elgin’s Hawick cashmere factory producing very high quality luxury items for major fashion houses. You can watch the Johnstons story on their website, a wonderful evocation of Scottish heritage branding. 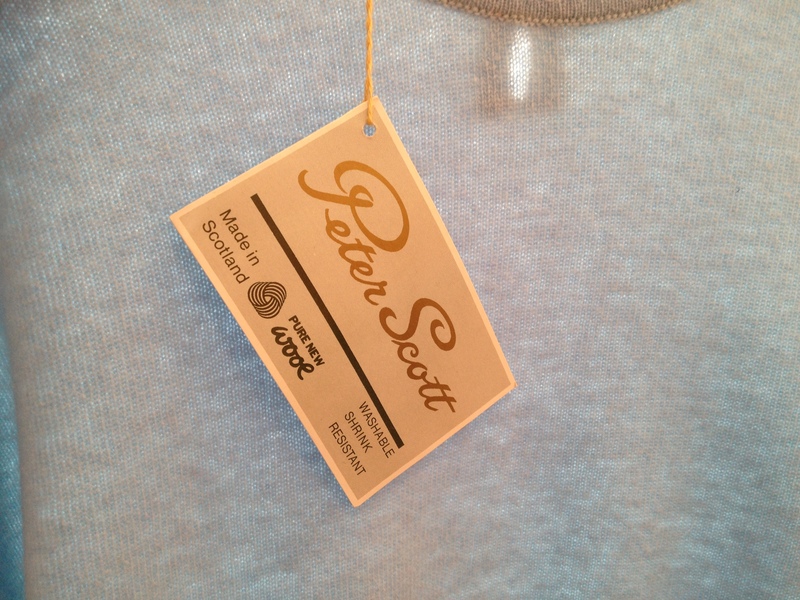 Next was Peter Scott knitwear, a company founded in 1878 and sadly recently closed for business. 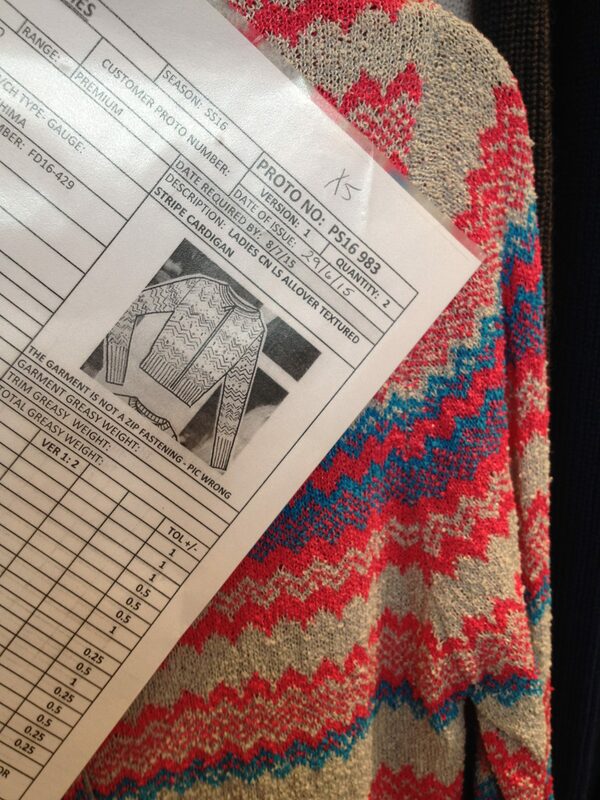 Those who write about and research knitted textiles tend to separate the two modes of production. Hand knitting tends to sit within studies of craft and of domestic industry and leisure and focuses on distinctive patterns, styles and techniques whereas the study of mechanised factory production has largely been the preserve of business and economic history. 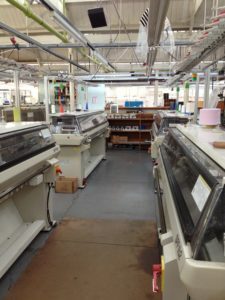 But our tour around the factory floor at Johnstons of Elgin in Hawick brought it home to us that the many processes that go into making a hand-knitted item are replicated in the factory setting, sometimes by machine, sometimes by hand and more often a combination of skilled human labour operating complex machinery. 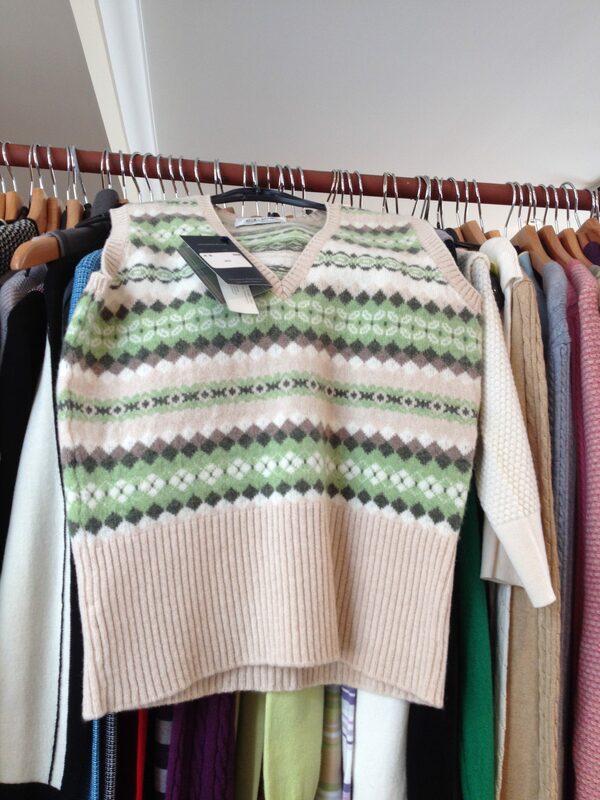 Between the computerised Shima knitting machines to the hand finishing section sewing on designer labels and accoutrements by hand, the production of a super soft luxury cashmere sweater goes through 26 separate processes, many of them immediately identifiable by any hand knitter – from picking up the seams and attaching collars to sewing on the buttons, securing the yarn ends, checking for flaws (and repairing them invisibly) and finally washing, tumble-drying, pressing and packing. And all this was carried out by a factory full of women and men who possess the rare skills and knowledge, the product of decades of knitwear production in this town. 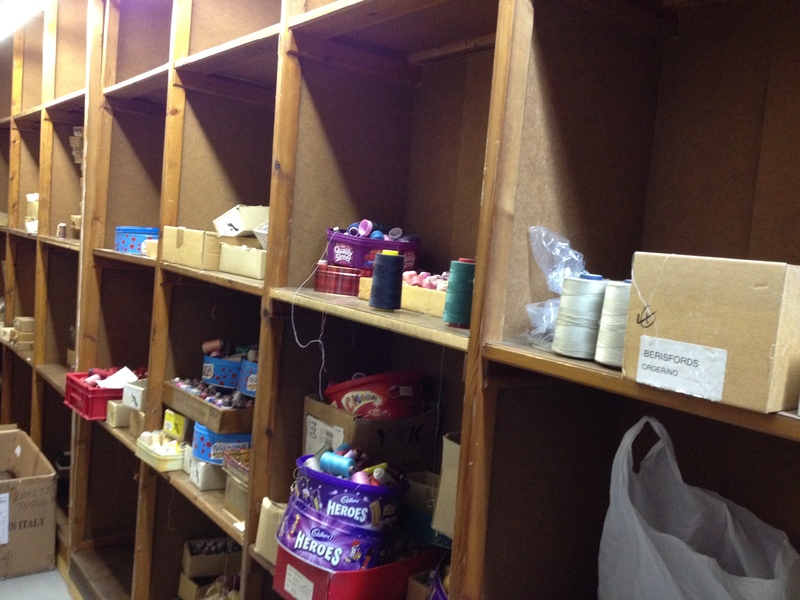 It was a delight to witness the attention to detail and evident pride taken by workers in their individual jobs. And of course we were entranced by the gorgeous clothing items coming off this special production line all knitted from the finest cashmere. Unfortunately we were not permitted to take photographs inside the Johnstons factory so we can only hint at the colours, the tactility, the noise and the friendliness of everyone we met. But later the same day we were privileged to be permitted to walk around the eerie quietness of Peter Scott’s factory the other side of the town. Founded in the nineteenth century, this stalwart of the Borders knitwear industry has just closed its doors, a victim of the hyper-competitive textile market. From the art deco inspired boardroom to the factory floors with their rows of silent mechanical and Shima machines, the workshops containing specialised machinery for all the processes we witnessed being carried out at Johnstons and the piles of buttons and thread, Peter Scott today evinced in us strong emotions. 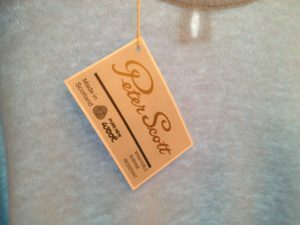 Thankfully and rather wonderfully Peter Scott has an archive documenting the history of the company through advertising, samples, account books and examples of their designs. 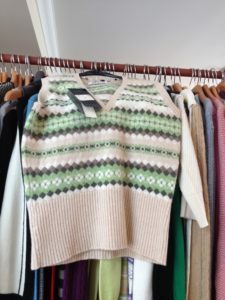 Hopefully the clothing items will find a good home as they form a fascinating and inspiring collection of classic knitwear from the 1950s to the present day, complete with factory instruction sheets. 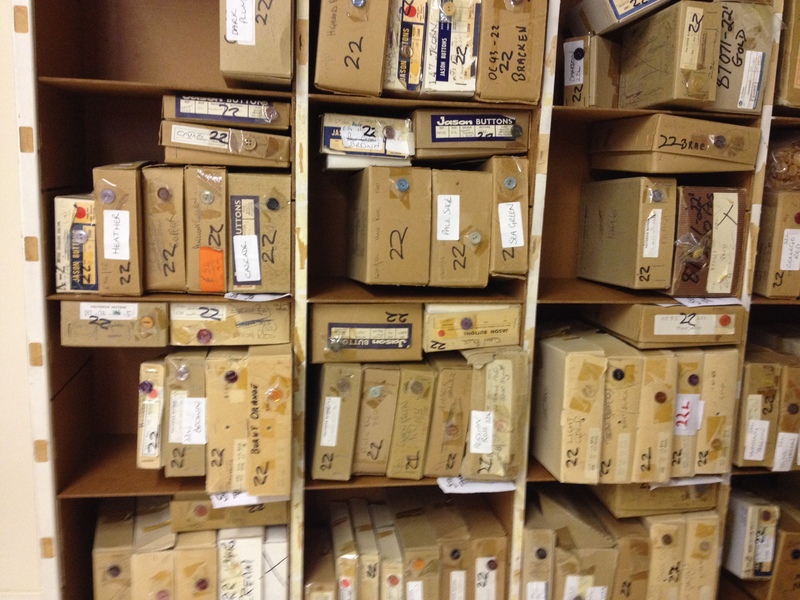 We would rather the company was still producing knitwear in its Hawick home but at least the archive keeps some of the original spirit of this heritage business alive. Our work is not over. 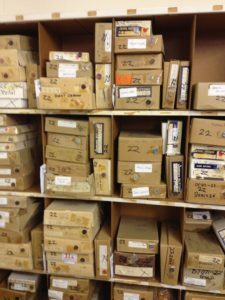 Plans to continue research into the history, culture and economy of knitted textiles in Scotland are afoot. But you can catch us next at Explorathon, part of European Researchers’ Night and the world’s largest public engagement event. We will be at Glasgow Science Centre from 6pm on Friday 30 September. We’d love to see you there. Places are limited and booking is essential. Book places at http://www.glasgowsciencecentre.org/special-events/explorathon-extravaganza.html.